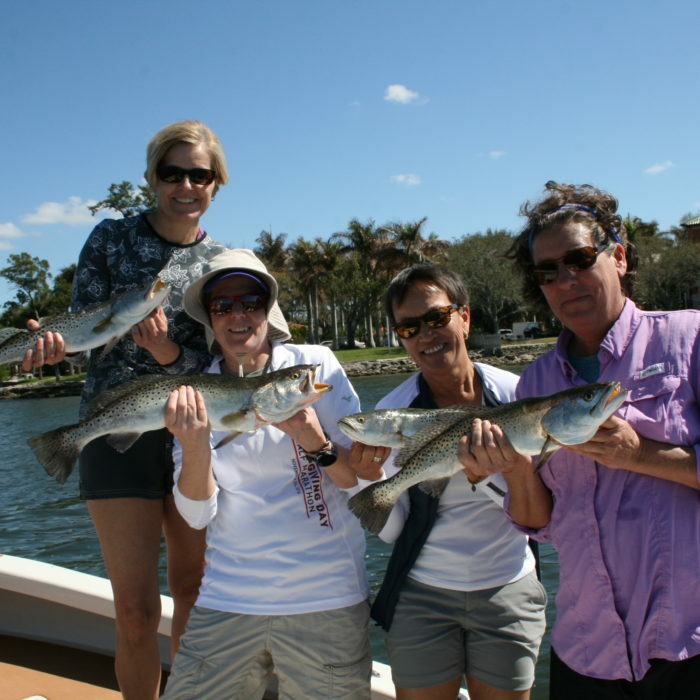 Tampa fishing charters in Tampa Bay can be an exciting adventure for all. 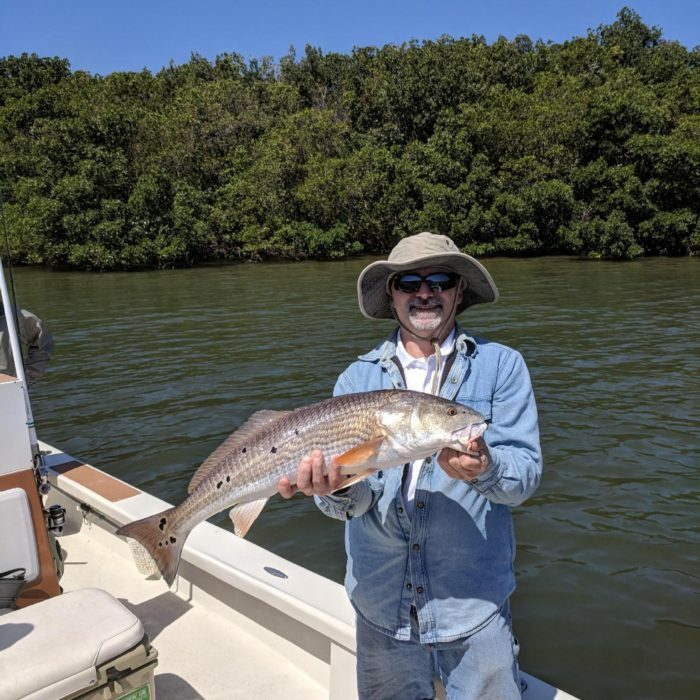 Your Tampa bay fishing guide here at Flats and Bay is an experienced Captain who spends well over 200 days per year on the water by either providing charters or scouting for the next one. 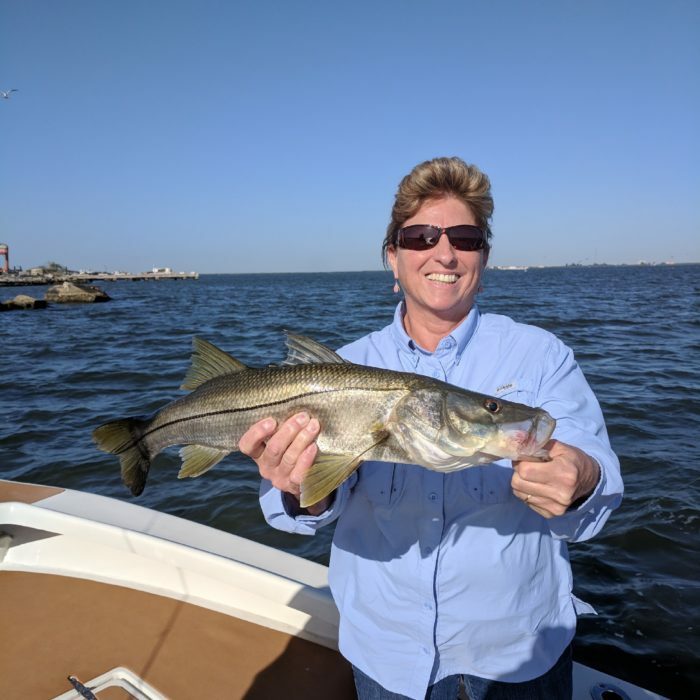 You will be able to expect being aboard a boat with one of the top full time fishing guides in Tampa, Fl. 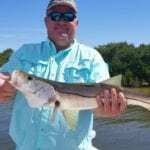 Your Tampa Bay fishing guide Capt. 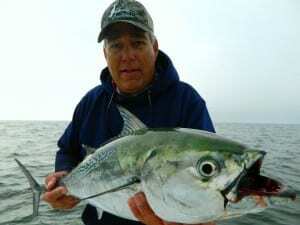 Steve Betz will instruct you on how to target the species of fish you are after. 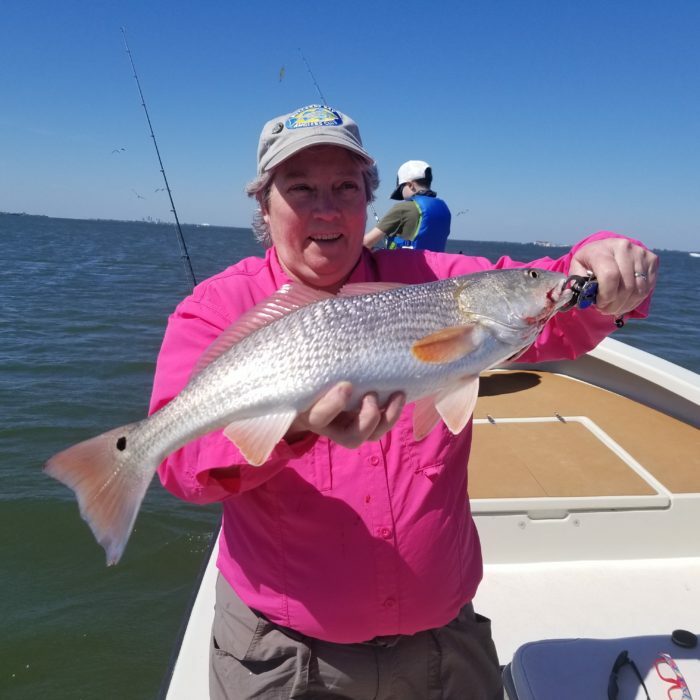 You will catch a variety of inshore and nearshore species on your fishing adventure. Novice, Pro’s and Families welcome. 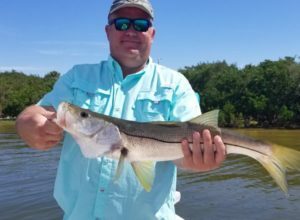 Captain Steve Betz offers Tampa Inshore Fishing Charters targeting all of the coveted inshore species that Tampa Bay has to offer. 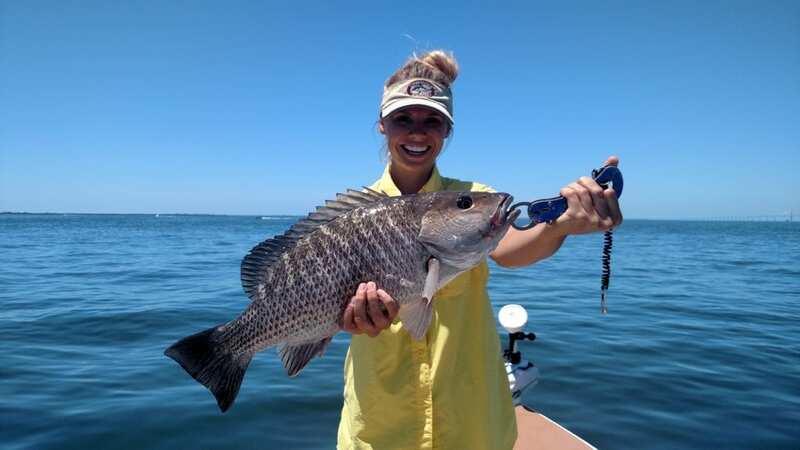 Whether looking for a day of easy fishing or stalking the shallows for sight fishing opportunities, Flats and Bay Tampa Fishing Charters has you covered! Fishing in Tampa Bay is diverse. 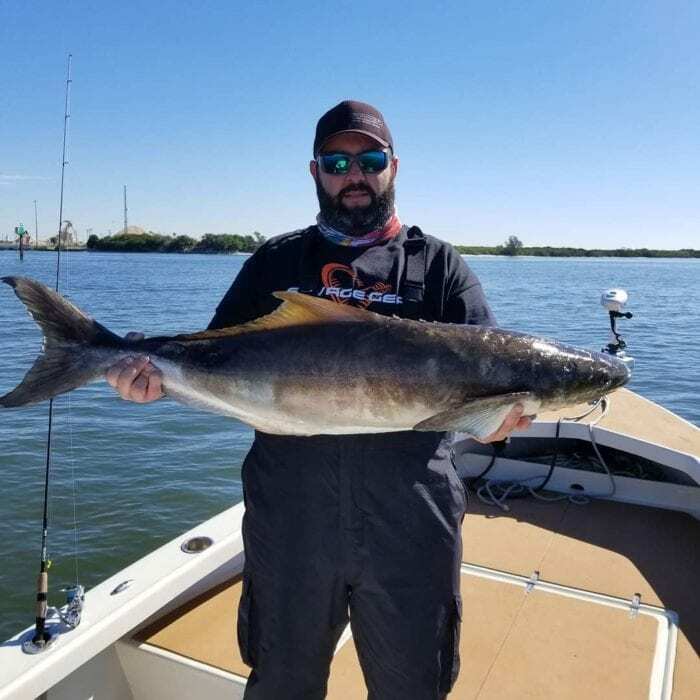 From inshore and backcountry fishing for snook, redfish, sea trout and tarpon, to the nearshore zone for snapper, kingfish, grouper, permit, and cobia – Fishing in the state of Florida really doesn’t get any better than what you will find right here in Tampa Bay. Tampa, Florida is home to a year-round fishery that is located in the heart of the states largest open water estuary – Tampa Bay. 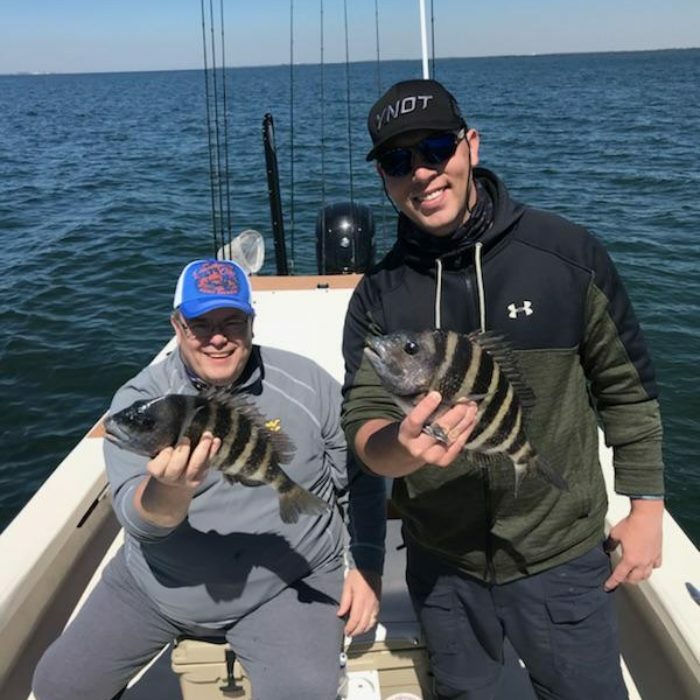 In this, Tampa inshore and nearshore fishing is a non-stop action-packed adventure that can take place any time of the year. This fishery is one of the most diverse in the entire state of Florida. 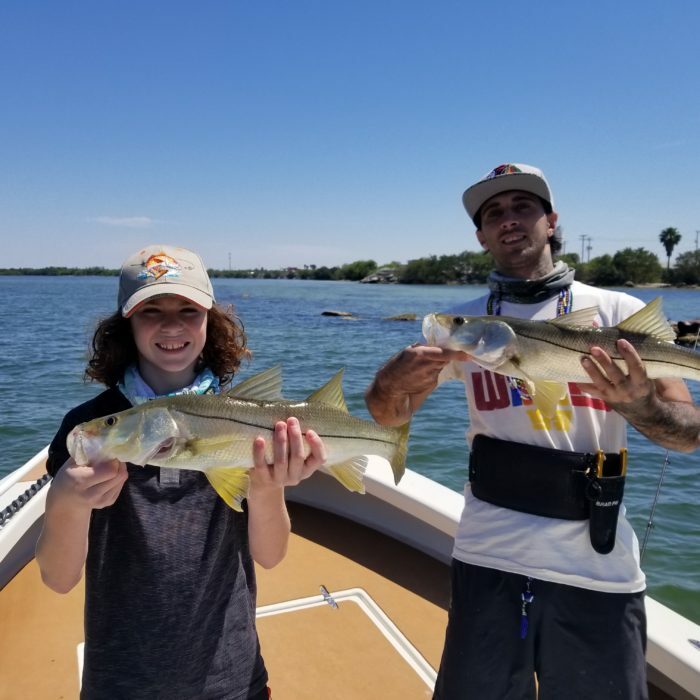 Home to snook, redfish, seatrout, tarpon, spanish mackerel, several species of grouper and snapper, cobia, flounder, jack crevalle, black drum, and so much more. Tampa Bay itself covers over 400 square miles of water that houses four Aquatic Preserves. According to the Tampa Bay Estuary Program website, there are over 200 resident fish species in total here. For fisherman, Tampa offers a multitude of fishing trip types. 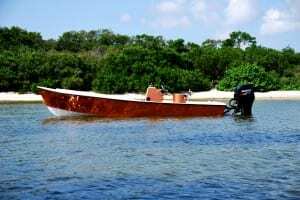 From heavy tackle tarpon and shark fishing to light or fly tackle backcountry and flats fishing. 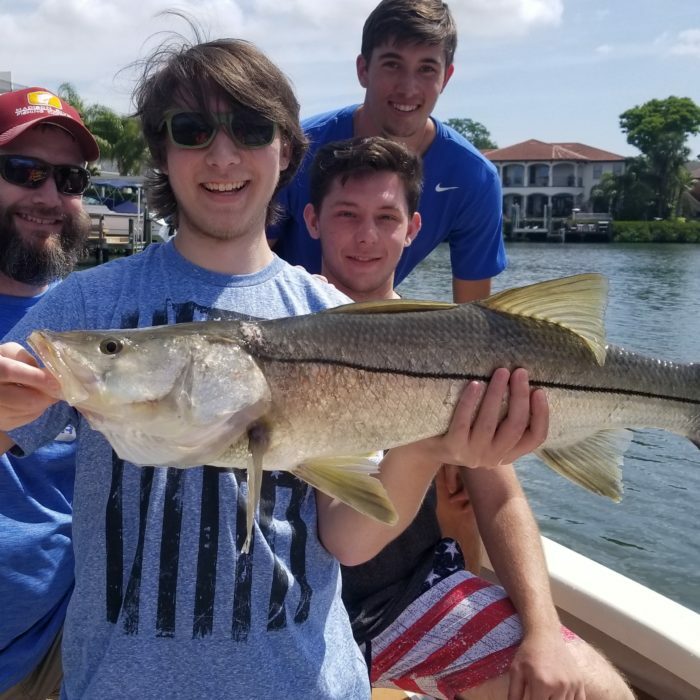 Live bait or artificial, fisherman and families from all walks of life can find their next fishing adventure right here in Tampa Bay. 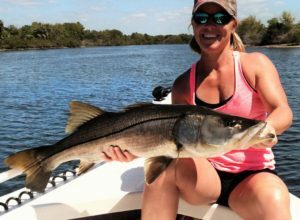 Snook, aka Line-Siders, are the inshore bruisers here in Tampa Bay. This is an ambush predator who can be found primarily along the mangrove root systems, but plenty are regularly caught chasing prey in the backcountry. Sea Trout are an abundant species here in Tampa Bay. This fish readily strikes both live and artificial baits. It is both a local favorite, as well as a favorite of our fishing charter guests from all over. Sea Trout also makes excellent table fare with its delicate white meat, and has generous limits set by the state. 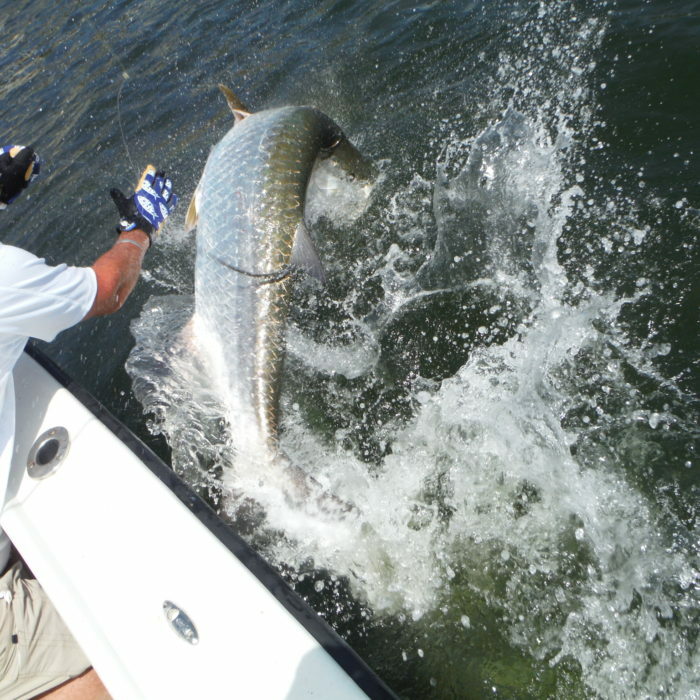 Tampa is home to a well known Tarpon fishery. Tampa Bay is the states largest open-water estuary, in this – resident tarpon are available all year from juvenile to small adult. 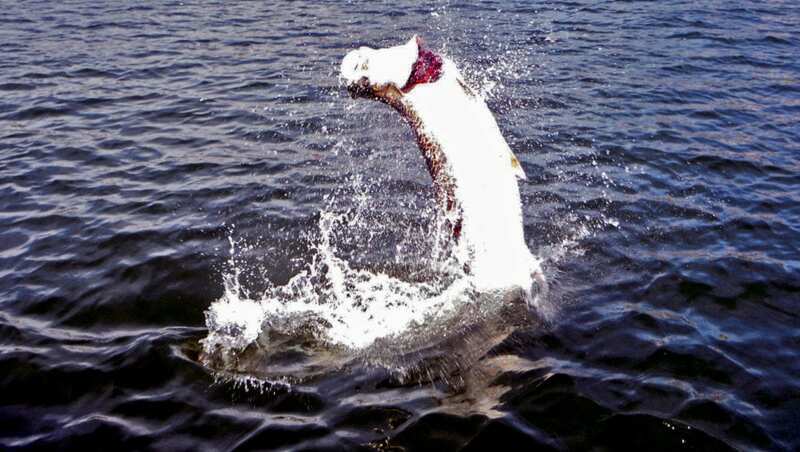 Throughout the summer Tampa Bay is also home to the yearly Tarpon migration. 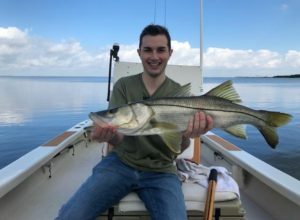 Depending on the season, spring, winter, summer or fall you can expect to catch a wide variety of species with your Tampa Bay fishing guide Capt. 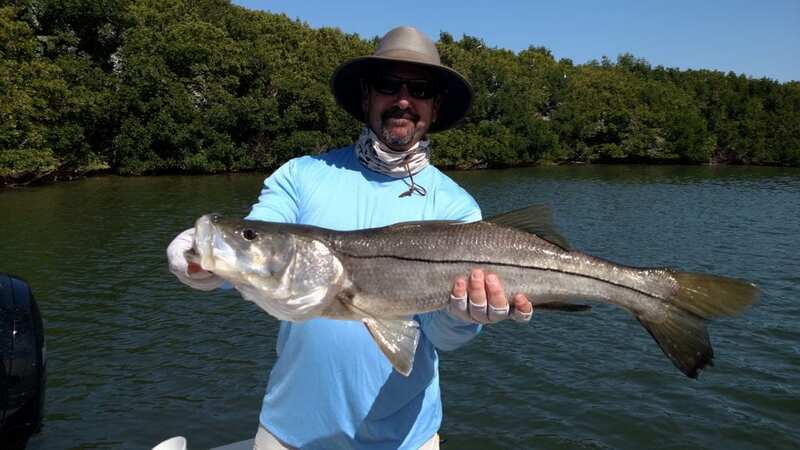 Steve Betz on a 1/2, 3/4 or full day fishing charters out of Tampa, Fl. 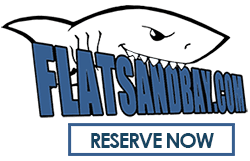 Book a charter today with Flats and Bay!